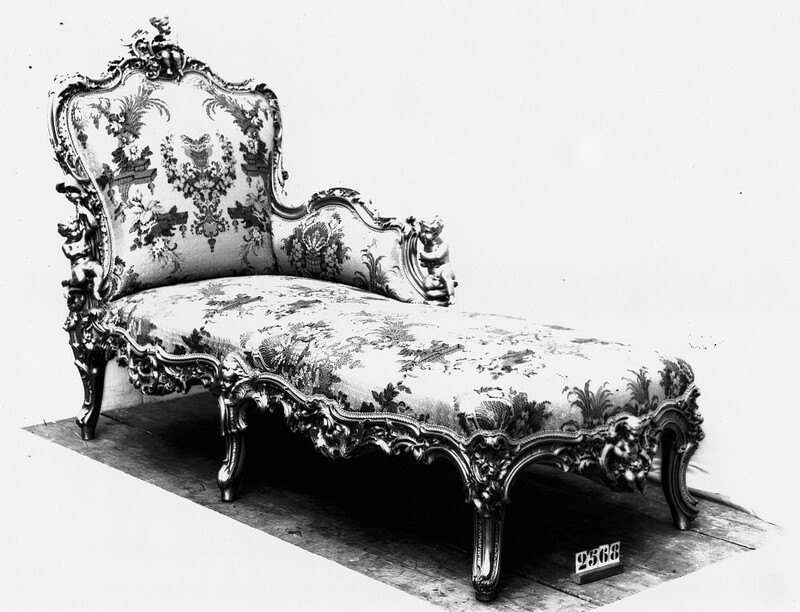 The last ten years has seen a lot of activity in the Nineteenth Century French Furniture market with the demand for the best pieces rising steadily on what has become an ever increasing world-wide arena. Christopher Payne has been consulted on many occasions by auction rooms and dealers alike, not only for footnoting or authenticating the work of Linke but also in other areas of furniture collecting and authentication. There are too many examples of exciting and important Linke furniture that have changed hands recently to cite all of them here. The first is a fine Linke tea table with removable tray top which sold for £26,200 including premiumbe a warning to unsuspecting buyers. It was sold on 11th April 2005 by the Paris auctioneer Marielle Digard. A variation of Linke index number 610 it has always been a popular model. However beware of the low versions, so called ‘coffee tables’ – they are normally tea tables with the upper part removed! There have been several versions by Zwiener over the last few years, cut-down in the same way. Small patches on the top veneer are the give-away. On 20th April 2005, Christie’s New York sold a second example of the Transitional style commode, Linke # 1771. (Sale number 1504, lot 182, hammer price $55,000 against an estimate of $30,000 to $50,000). A virtually identical version is in my book on Linke, p. 220 plates 240 & 241. The construction of both is similar although the locks on the Christie’s model appear to have been replaced. This model was first made in 1909 with several variations made up to and including 1927. The last model was made to a specific commission some 20 centimeters wider (approx. 8 ins). Sotheby’s New York sold a magnificent longcase clock by Zwiener and the magnificent jewel cabinet by him, exhibited at the 1889 Paris fair was sold by Christie’s in London. Christie’s also sold the wonderful bahut marine that Linke had intended to show at the Paris 1900 fair but sadly was not finished in time. It’s first international outing was at the St. Louis World fair in 1904 (see Payne, Linke, pl.190). Not to be outdone a New Orleans dealer sold a version of one of Linke’s and Message’s most creative pieces, the longcase clock on the cover of my book on Linke, illustrated on the spine and pl. 143. On 15th June 2005, Sotheby’s New York (sale N08084), held a specialist Nineteenth Century Furniture auction including an important suite of furniture by Linke. The suite, Linke index number 2568, is identical to that made for Antonio Devoto and Simon Patino, illustrated on page 426 of François Linke, plates 496-498. The footnote was compiled by Christopher Payne using information extracted from the complex pages of the Linke Archive.